Cost to repair a sidewalk varies greatly by region (and even by zip code). Get free estimates from Concrete Contractors in your city. Cost to repair a sidewalk varies greatly by region (and even by zip code). 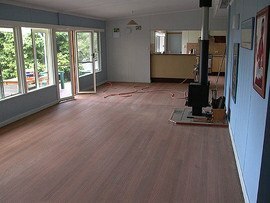 Get free estimates from Concrete Contractors in your city. How much does it cost to repair a sidewalk? 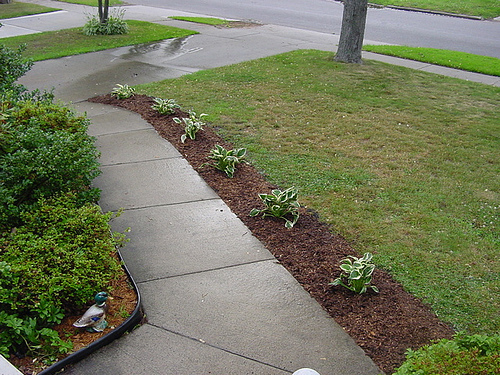 Many urban homeowners are astounded to learn that the sidewalk in front of the home is actually their responsibility. There are some areas in which residents pay specific taxes to ensure that they are not liable for these repairs, but it pays to determine whether this is the case or not. Additionally, millions of homes have walkways and sidewalks surrounding the structure, and these too will often need repair. Is such work a DIY project? It is important to understand that most sidewalk repair actually calls for the removal of the pre-existing concrete and a replacement of it with newly poured materials. Unless the homeowner has the specialized saw blades and tools necessary for safely tackling such a heavy-duty process, it is best done by a qualified professional. For the purpose of this discussion we will review the costs and requirements for a sidewalk repair measuring 5'x50', and which will be done by a professional contractor. Additional materials - in addition to the removal of the pre-existing concrete and the pouring of new materials, some jobs might also increase in cost due to the need for the reinforcement of the base as well. 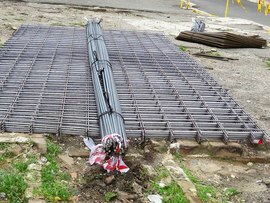 For example, there may need to be a reinforcing base of gravel or steel mesh 1 put into position in order to delay the problem from occurring again. Looking at additional cracks and patching - while a contractor is making a larger repair it is also a good idea to ask them about patching, sanding 2, or repairing any other areas that do not need full replacement. This may prevent a much costlier repair in the near future and may help to prevent potential damage at a later date. How much does it cost to repair a sidewalk in my city? Cost to repair a sidewalk varies greatly by region (and even by zip code). To get free estimates from local contractors, please indicate yours.